Putting every teacher in your school on the same literacy strategy enhances the successful academic results of each student. By educating the educators, your teachers will more effectively achieve the desired results in your literacy programs. PLD endorses a whole school literacy strategy in order to achieve optimal results and educational outcomes. PLD offers in-house professional development courses for your staff and parents nights, as well. Schools also have access to an individualised service where PLD tailor a program and assist in the development of a school literacy and language policy through School Based Coaching. Are your teachers all implementing the same strategy? If not, you might not be getting the best outcomes for your students or your school. Even the best teachers will be limited in the impact they can make if a common strategy is not adopted across the school. The impact may not be immediately obvious but will certainly be reflected over the long-term in the NAPLAN test scores for your school. 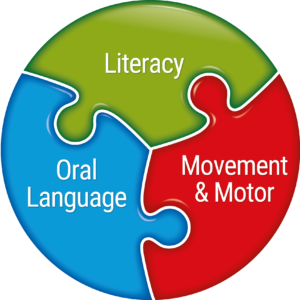 Contact Us to discuss PLD’s Whole School Literacy Strategy and how it affects your school. Download the Whole School Literacy Strategy HERE. Request hard copies of the Whole School Literacy Strategy HERE.